who captured in paintings what she’d emote. whimsically rendered, all full of heart. written for children using rhyming for hooks. and were filled with emotions made creatures to ponder. is all about worry and what it forbids. and it is all fun and not for the idle. the Monster of Worry and quite a prince. 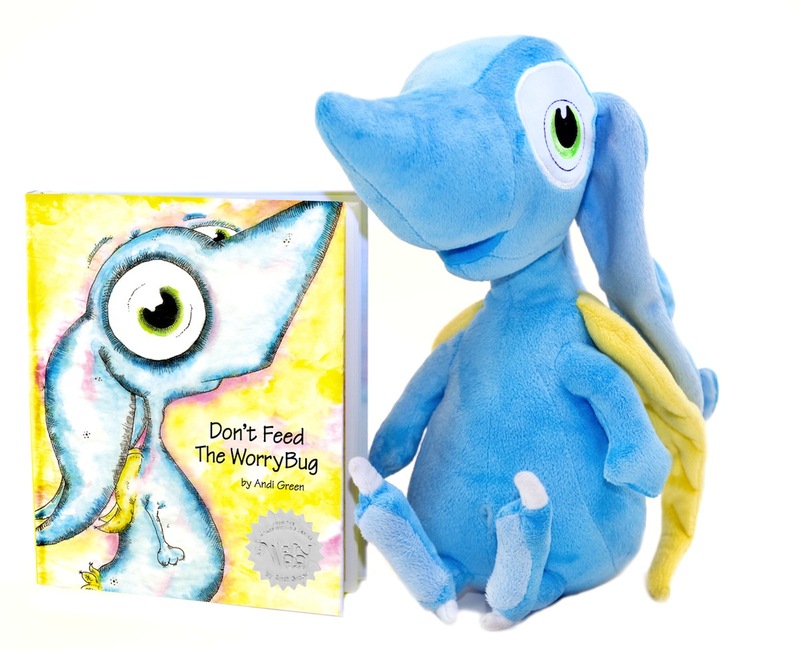 and his worries feed a bug nobody is petting. so too does the bug (which looks like a chigger). and here the book shines in the children’s book milieu. for a kid’s book or such along in this line. but in a kid’s book pandering is always a hit. and her fans, by now, are surely legion. for an adult audience, you know, someone like me. don’t grab kiddy Xanax in such a hurry. and see if that won’t act like a nurse. of Wince that’s all blue, perfect even for a boy. I can’t keep this pretension up. Rhyming is not my forte and abusing it like this make me feel like my brain is slowly leaking out of my ears. 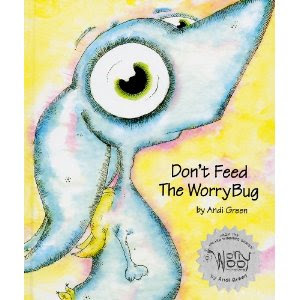 Let me just end this review by saying that Don’t Feed the WorryBug by Andi Green is a perfectly nice, staid but true, children’s book on how to deal with stress. 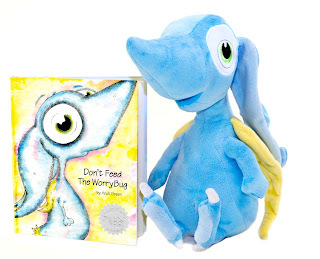 The fact that we live in a time that we need a children’s book designed to help children deal with stress is a whole separate rant, as I would love to know what we are doing as a society if we have stressed out kids. The book is nice. The art is pleasant. Green’s rhymes are better than mine. The toy is cute. It’s all good.